Vauxhall launches lifetime warranty | What Car? Vauxhall has launched the industrys first comprehensive lifetime warranty. 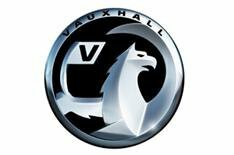 The warranty comes with all new Vauxhalls bought since August 1, 2010. Although the warranty excludes wear and tear items, and is restricted to 100,000 miles, it covers the powertrain, steering, brakes and electrical systems of every car in the range are covered. Vauxhall managing director Duncan Aldred said: We have confidence in the quality of our products and we want our customers to benefit from that confidence too. Owners will have to visit a Vauxhall retailer for a free inspection once a year to maintain the cover, but there is no clause to insist that servicing is done at one of the companys franchises rather than an independent garage. Second owners will have to pay a fee to adopt the warranty with their car, although details of this are yet to be announced. Until now, Kia has offered the longest warranty of seven years, while Toyota recently joined Hyundai in offering a five-year policy.